Today is my father’s birthday – he would have been 93. He died this past February, with his family at his side and his final words were his expression of love and gratitude for all of us, and his full life – his wife of 69 years was holding his hand. What a guy. My father loved his apple and quince trees and so did the squirrels and deer. He was able to thwart the deer with a sturdy fence, but the squirrels kept to their mission. My father waged war, but he believed in fair play. He set a Have-a-Heart trap to lure the squirrels. When they made that unfortunate decision to enter the trap, my father had plans. He would put the trap with the squirrel in the back of their mini van and drive to a neighborhood with a street with a nut in its name. Walnut Place was his favorite release spot. Only my father could maintain a sense of calm driving a mini van with a wild squirrel flailing its body against a metal cage in the back seat. 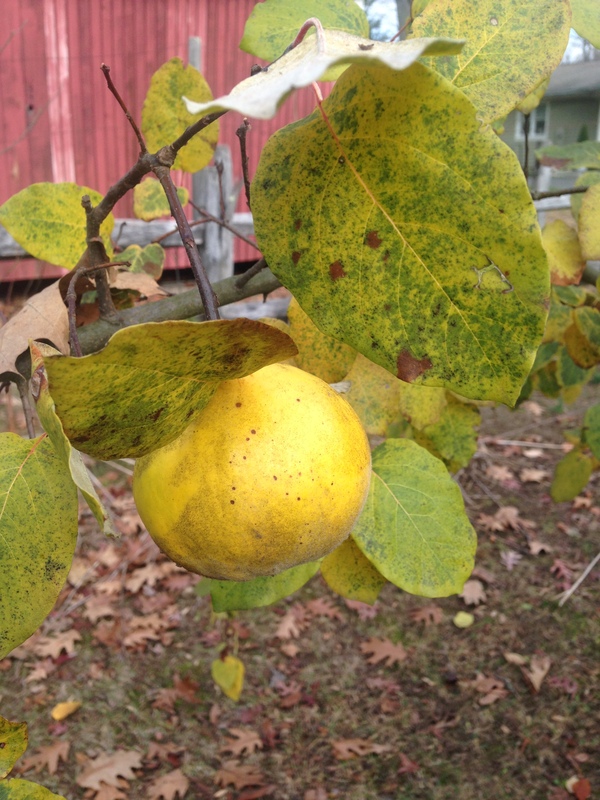 The release was quite a scene.. For some odd reason, we had a bumper crop of quince this season. I think the remaining squirrels were paying respect. I was pleased, and why wouldn’t I be, if it reminds me of all of this. 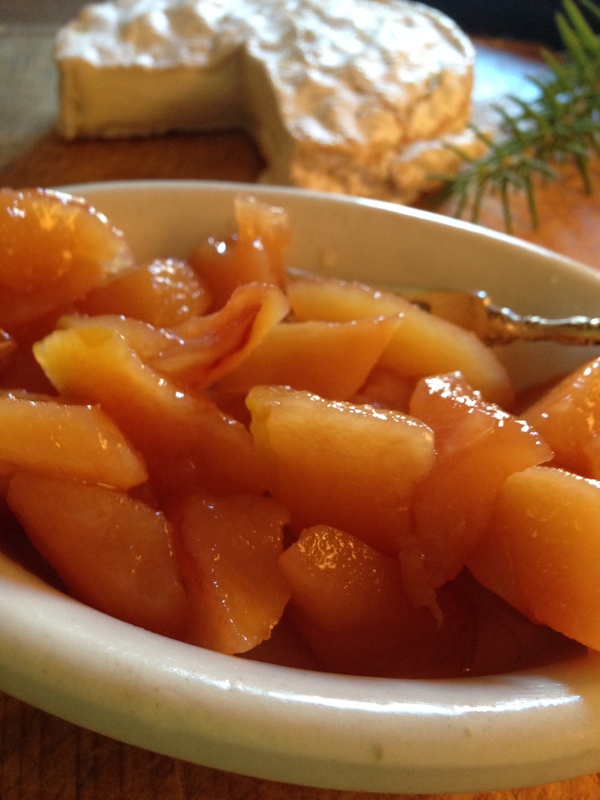 This recipe all depends on how many quince you have..
Peel and core the quince and dice into large bite size pieces. Place them in a bowl of water with the juice of 1 lemon – to keep them from turning brown. In a large Dutch oven or deep sauce pan, measure the quince by cups and add granulated sugar in equal amounts (2 cups of diced quince need 2 cups of sugar). Add enough water to just cover the quince about half way. Over medium high heat, stirring from time to time, simmer the quince until it is soft and has taken on a rosy hue, and the water has evaporated making a syrup, about 25 minutes. 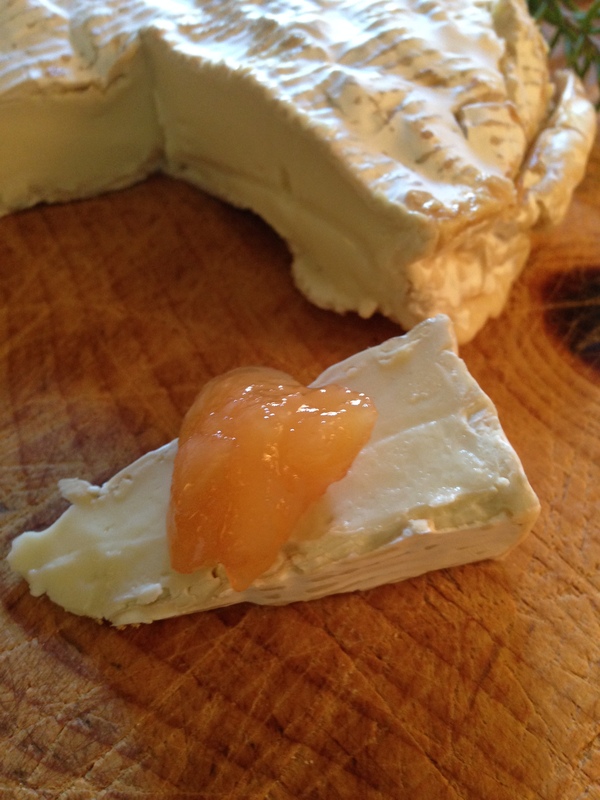 This entry was posted in Family, Recipes and tagged brie, Manchego Cheese, quince. Bookmark the permalink. If your father is anything like his daughter, I am sure he was an amazing man! That is so sweet – Thank you!